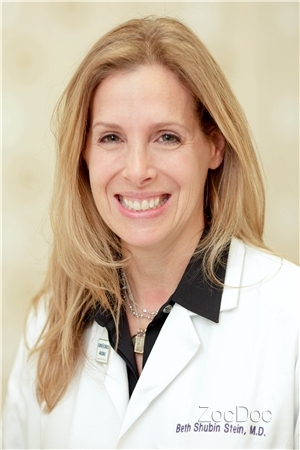 Dr. Beth Shubin Stein, Director of the Patellofemoral Center, is one of the nation’s leading orthopedic surgeons, specializing in the management and surgical treatment of knee and shoulder problems. She uses minimally-invasive, state-of-the-art arthroscopic techniques to treat challenging conditions such as patellar instability and ligament tears around the knee, as well as rotator cuff tears, shoulder instability, and shoulder arthritis. Dr. Shubin Stein routinely performs ligament reconstructions for ACL tears as well as shoulder rotator cuff repairs (including revision repairs) and stabilizations using all-arthroscopic techniques. She specializes in surgical procedures including ligament reconstructions, realignment surgeries, and cartilage restoration to treat disorders of the patella including instability and arthritis. In addition, she lectures and teaches these advanced surgical techniques to surgeons across the country. Dr. Shubin Stein is board certified by the ABOS (American Board of Orthopedic Surgery). She also has her Certificate of Added Qualification (CAQ) in sports medicine. She is a member of the American Orthopaedic Society for Sports Medicine (AOSSM), the American Academy of Orthopaedic Surgery (AAOS), and the Arthroscopy Association of North America (AANA).